This month's interview is with Mike Duran, whose books, The Ghost Box and Saint Death, we've reviewed in the past. Well, I was raised a Catholic and, after a long spiritual trek, converted to Protestantism (specifically Evangelicalism). My beliefs are fairly mainstream. I espouse the standard creeds—Nicene and Apostles’ Creed—and am a regular church-goer. I’m also an ordained minister and pastored a church for over a decade. I suppose my beliefs influence my writing in a variety of ways. For one, our lives are part of a huge meta-narrative. That’s how the Bible portrays human history, as the playing out of this over-arching cosmic drama, with many players, and humans in the leading role. So, in a sense, all stories are micro-narratives within a vast cosmic story. I tend to approach my stories and characters that way, as micronarratives within a larger cosmic struggle. But my spiritual beliefs also provide the moral framework for my stories. So in my mind, Good and Evil are not relative or illusory, humans have been created with a divine spark, but are fallen in sin. So this struggle between ultimate Good and Evil, God and Satan, sin and divinity, degeneration and regeneration, are always playing out in my tales in some form. I didn’t respond to the “call” to be a writer until later in life, my mid-forties to be exact. I’d always been a creative, but between work and family, it was not something I was able (or willing) to devote a lot of time to. That eventually changed as I began to see my creative gifts not as peripheral elements to my life, but as central to it. Once I’d made a concession to begin cultivating my writing talents, so many things seemed to resonate and fall in place. Maybe it was a timing or a maturity issue, I don’t know. But the decision to pursue writing was much more than just a career choice or a new hobby. It spoke to a deep existential struggle to discover who I was and what my deepest skill set was. Why speculative fiction? Probably because I tend to see the world as a more fantastical place than one of mundane naturalistic proportions. Of course, boogiemen may be make-believe. However, the dimensions of reality are still much bigger than most of us ever concede. I’ve always loved that quote from Shakespeare in Hamlet: "There are more things in heaven and earth, Horatio, than are dreamt of in your philosophy." In a similar way, the Bible paints a picture of a world teeming with life, both visible and invisible, forces and dynamics at work beyond the veil of our imagination. Speculative fiction, at its simplest level, affirms that there are more things in heaven and earth than most of us have ever dreamed of. One would be the awakening or renegotiating of one’s perception of reality. For example, in The Ghost Box (first book in my urban fantasy series), protag and serious skeptic Reagan Moon is persuaded to wear an alleged magical visor called Rival’s Curtain. The result is an ability to see things in an invisible dimension. Moon’s very perception of reality is turned on its head as his eyes are opened to a world of spirits, demons, and inter-dimensional interlopers. This is a regular theme in my tales – existential reawakening or paradigm de/re-construction. Another theme I often return to is the struggle for meaning and purpose, the relentless pull of evil towards psychic disintegration. Most of my characters teeter between moral and spiritual fragmentation and reintegration. Again, Reagan Moon is a perfect example. At the beginning of the book, his cynicism about life, mystery, and his own purpose, is borderline terminal. Much of the story is about Moon’s struggle to abandon his despair and embrace hope. It is the battle between forces of decay and renewal that each of us must daily engage in. Your first books, The Resurrection and The Telling, were published by a Christian publisher. What was that experience like? Were there things you liked about working with a Christian publishing house? Things you disliked? It was mostly an enjoyable experience. There are lots of great folks working in the Christian publishing industry. Nevertheless, Christian fiction and its industry is often slammed for being inferior to its general market counterpart. Even though I have plenty of criticisms about Christian publishing, I’ve come to see many of the criticisms as unfair. There’s a lot of great writers, good stories, and knowledgeable professionals. For the most part, my experience working with a Christian publisher was positive. Perhaps my biggest concerns, ones which I consistently ran into in the Christian industry, were about content. Mainly, language and theology. For example, there’s a scene in The Resurrection in which a pastor tells a spirit to “go to hell.” My editor said that that phrase was unacceptable and needed to be nixed. I objected on the grounds that this was a reasonable thing to say to a disembodied spirit. They refused. Along the way, I learned that Christian publishers have very strict rules about language. While some words (like “crap”) are permissible, other words (like “piss” or “damn”) are not. This demand for “clean fiction” extends in other directions. I recall hearing a debate about whether a character in a Christian fiction story should be allowed to wear yoga pants. Frankly, such tedious debates are a significant part of writing for Christian audiences. Theology is another concern in Christian publishing circles. Using The Resurrection again – the story contains a spirit whose nature is ambiguous. Is it a ghost, a demon, or something else? This “ghost” was one reason the story was passed on by some editors. Evangelicals typically see ghosts as demons. So, in that sense, there should be no ambiguity about them. However, the nature of the spirit in my story was not clearly articulated. It’s why I was asked to include an Afterword in The Resurrection explaining in more detail a “theology of ghosts.” Perhaps this is truer in the speculative genres, but theological concerns are often found on the table. Whether it involves time travel, the afterlife, artificial intelligence, or alternate universes, theological questions can become of great concern to Christian audiences and publishers. What's the Reagan Moon series about, and why did you decide to write it? I wrote the series to appeal to a larger market while continuing to explore fantastical themes. Reagan Moon sort of embodies this character who has a wealth of experience with weird stuff. These experiences force him to think through his own existential plight and purpose. Technically, he is a paranormal reporter in Los Angeles. So along with being able to explore stories about vampires, witches, vortices, extraterrestrials, et cetera, I was able to examine these phenomena through the lens of a “conflicted skeptic.” The L.A. demographic make-up and landscape (along with its unique urban legends) provide a rich backdrop. The basic set-up is that Moon must protect a religious artifact from astral vampires / gods who are aiding a billionaire brain researcher seeking to rebuild the Tower of Babel in the City of Angels. The story goes in multiple directions from there, but it’s basically about Moon’s transition into being something, um, other than human. When Publishers Weekly gave the book a starred review and chose it as one of the best indie novels of 2015, I knew I was onto something. How is this series different from novels like The Resurrection and The Telling? Do you think of it as Christian fiction? I definitely don’t think of it as Christian fiction. However… it very much has spiritual themes and a biblical worldview. One distinction between those earlier books and the Reagan Moon series is the language and the edginess. That might sound trivial to some. But being able to let my characters talk like I think they would was important to me. And while there’s very little sexual innuendo in the book, allowing Moon to comment favorably upon a female character’s thighs and breasts seemed, well, like something he would do. However, such conduct would never be tolerated in Christian fiction circles. Also, being able to push the boundaries of weirdness without having to give theological justifications for everything was also an issue. For example, in the first book Moon is directed to seek out a psychic, which he does, and receives an important piece of info. From a biblical point-of-view, psychics shouldn’t be sought and info they give should be questioned. But this is fiction and my protag is not acting like a believer. Can psychics be used by God? I don’t know. Probably not. But maybe. The Witch of Endor seemed to have been used by God to summon the spirit of Samuel the prophet. And I guess that’s my point. The Reagan Moon series has allowed me to broach some of these bizarre phenomena and strange characters without having to provide airtight theological defenses for them. It’s one part wanting the reader to think, another part wanting them to have fun in the process. 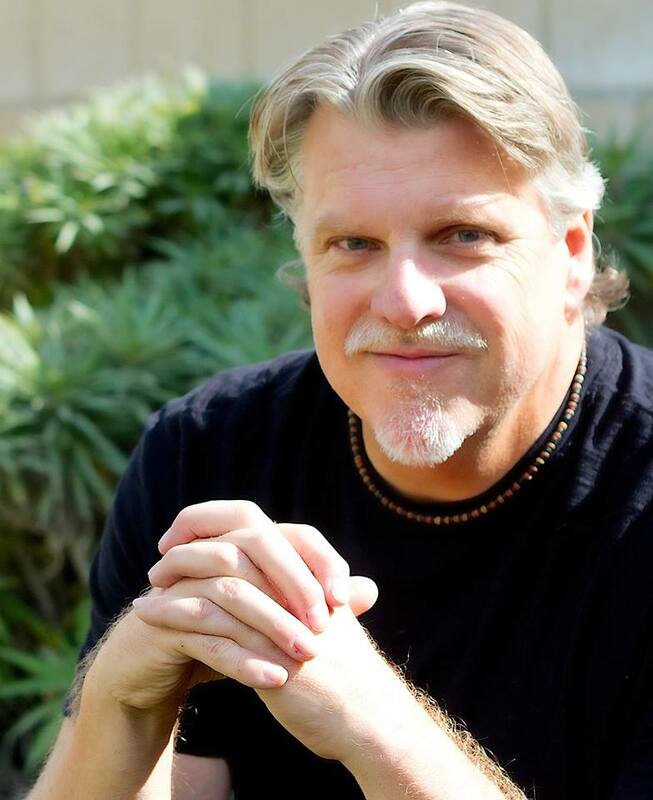 MIKE DURAN is a novelist, artist, ordained minister, and speaker who lives in Southern California. His writing spans the gamut of urban fantasy and horror to the intersections of religion and pop culture. Mike has written for The Gospel Coalition, Rue Morgue, Relevant Magazine, Relief Journal, Bewildering Stories, Zombies magazine, Breakpoint, and other print and digital outlets. He and his wife Lisa have four adult children, ten grandchildren, and a tortoise named Virgil. When not working with wood, paint, and resin, Mike enjoys reading and watching films. You can learn more about Mike Duran, his writing projects, art, philosophical musings, and arcane interests, at www.mikeduran.com.